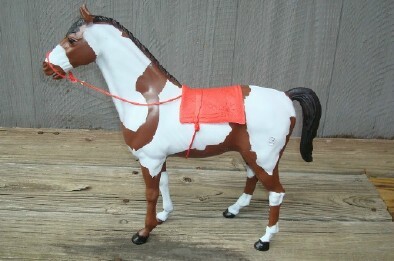 ON one of my NEW BROWN HORSES, ONE OF A KIND Custom paint, CHEYENNE, the mane and tail are painted a DARKER brown, black eyes and hooves, 4 sandy off white stockings,sandy off white chest blaze and sandy off white nose blaze..THIS HORSE IS GORGEOUS!!! 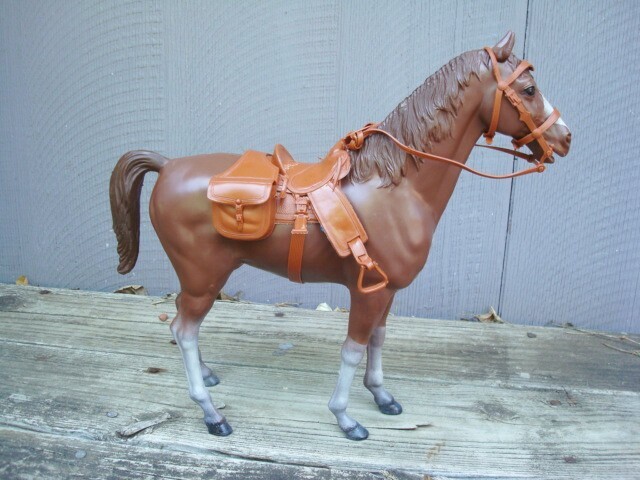 Comes with Complete RUSSETT Western Tack set and CUSTOMIZED TACK MANUAL SHEET with the name "CHEYENNE" Printed on it, PLUS numbered pre production tag, dated May 1, 09, #PRE PRO and NOTE: BEST TEST! 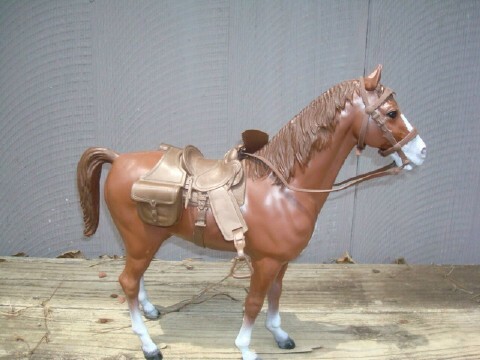 ON one of my NEW BROWN HORSES, ONE OF A KIND Custom paint, CIMMARON, the mane and tail are painted a slightly deeper brown, black eyes and hooves, 4 white stockings..THIS HORSE IS GORGEOUS!!! 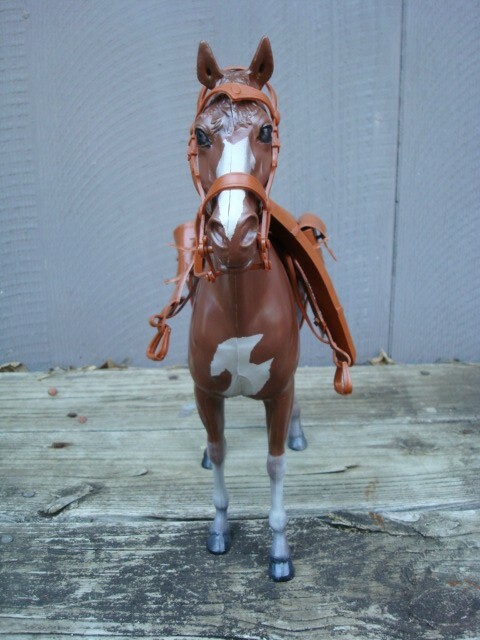 Comes with Complete VINTAGE MARX Western Tack set! 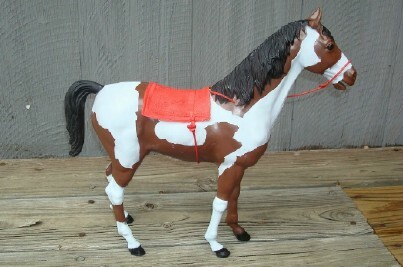 ONE OF A KIND Custom Thunderbolt paint, on one of my new brown horses! 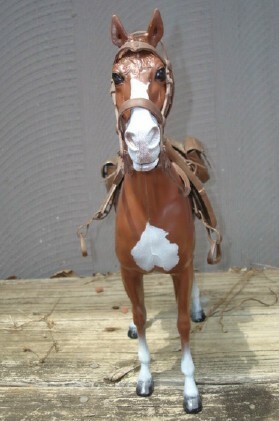 Come with Complete VINTAGE MARX Western Tack set! 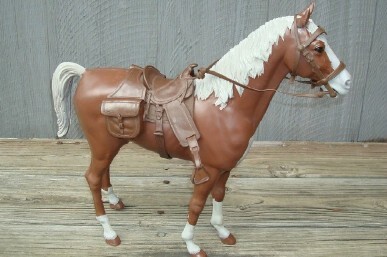 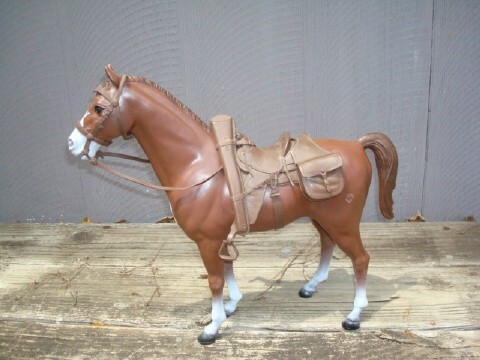 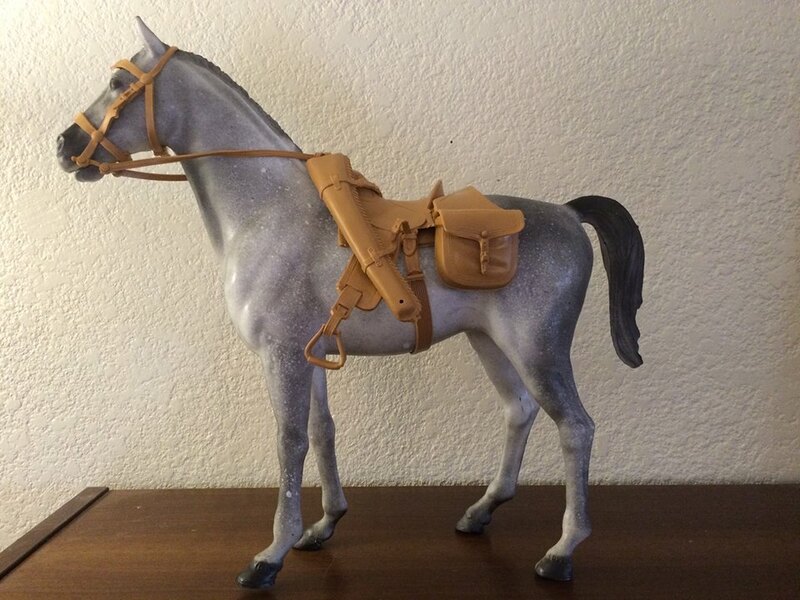 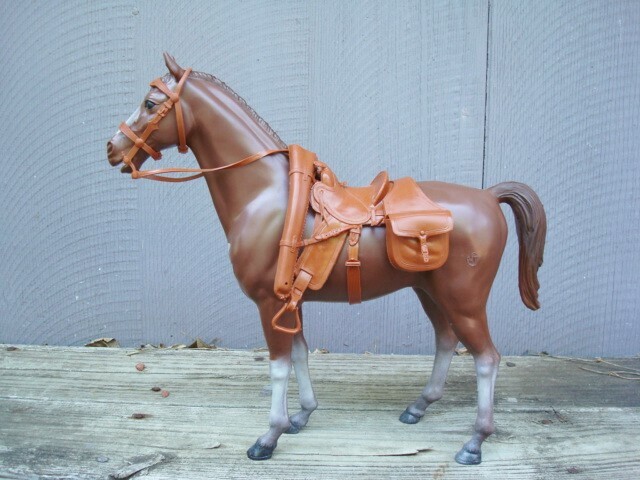 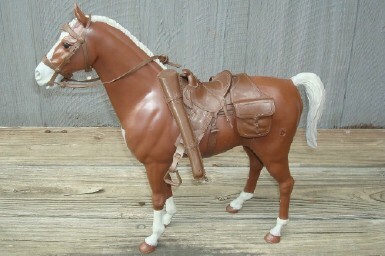 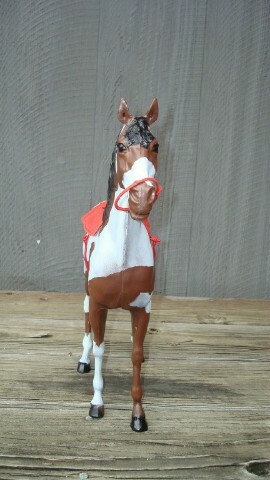 one of my new brown horses custom painted as Thunderbolt, with a sandy tan color mane, tail and accents, in box with vintage tack set, SOLD!!! 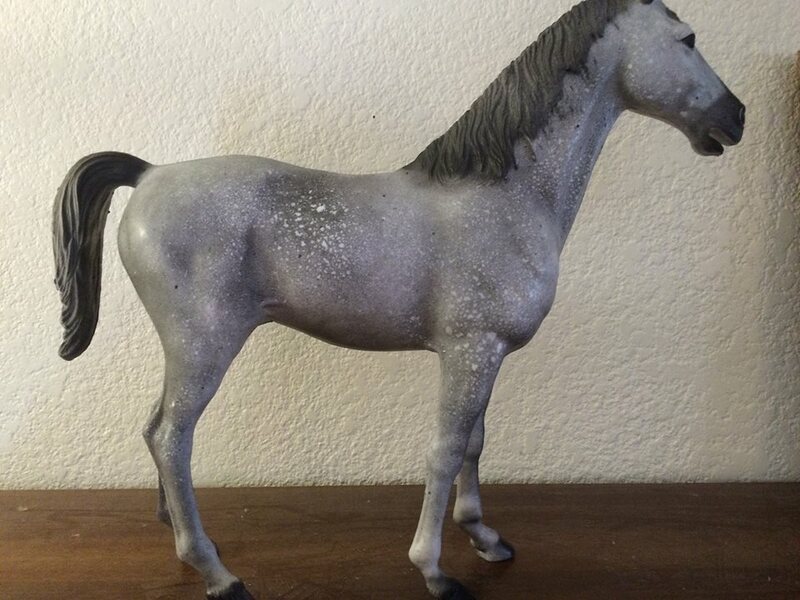 ONE OF A KIND STORMCLOUD Custom paint, on one of my new brown horses! 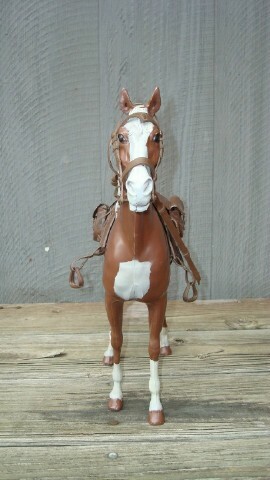 Come with Complete MARX MINT 2000 INDIAN Tack set!